Irshad Ali Shaikh, MD, MPH, Ph.D.
Dr. Shaikh recently became Administrator for the Montgomery County Health Department in May 2016. He is experienced and knowledgeable in global health security, public health preparedness and response planning, policy and operations; refugee health, health policy and administration, applied and field epidemiology, HIV/AIDS programs/project design and development, communicable diseases surveillance and outbreak response, monitoring and evaluation, and knowledge and information management. An accomplished public health professional with over 15 years of experience, Dr. Shaikh served in a variety of senior level positions at the local, state, national and global levels. He has leadership experience as a communicable and non-communicable diseases epidemiologist and health manager in the United States, and has served overseas in a variety of senior level positions leading programs in over 25 countries in the Greater Middle East, Horn of Africa and South East Asia. His overseas work included time spent as a staff member with the United Nations/World Health Organization (WHO), U.S. Government, and with leading international non-governmental organizations providing technical, epidemiological, and scientific support to local, country, regional and global partners and coalitions in health, and humanitarian mine action sectors. Dr. Shaikh has authored/co-authored over 25 peer reviewed articles in top tier health journals and his research interests include population-based health surveys, health policy and planning, communicable and non-communicable disease burden and surveillance in humanitarian crises, emergency preparedness and response, refugee health, applied research, research ethics, monitoring and evaluation, HIV/AIDS in resource-poor settings, minority communities, and incarcerated and other vulnerable population subgroups. Selected as a scholar for Public Health Leadership Institute, a joint program of the United States Centers for Disease Control and Prevention and University of California at Berkeley, Dr. Shaikh also holds a faculty appointment at the Johns Hopkins Bloomberg School of Public Health and has taught public health practice and epidemiology at graduate levels for over a decade. Because of his expertise in the area of global health security and in prevention and control of emerging and re-emerging pathogens (Ebola, MERS-CoV, Zika, H5N1, etc.) at the global level, Dr. Shaikh was also recently named to the Next Einstein Forum (NEF), a global initiative under the aegis of National Science Foundation, USA uniting 500 outstanding thinkers and distinguished stakeholders from around the world to improve the quality of life and propel humanity onto the global scientific stage. 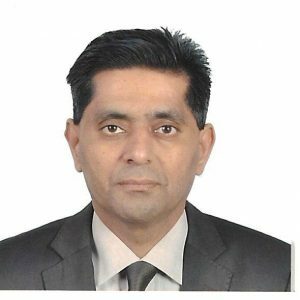 After receiving his Medical Degree from Dow Medical College in Karachi, Pakistan in 1992, Dr. Shaikh became a Fellow in Community Medicine from the College of Physicians and Surgeons in Karachi the following year. He continued his education with a Masters in Public Health (MPH) in Global Health in 1994, and Ph.D. in Epidemiology in 2000 from Johns Hopkins University in Baltimore, MD.